I’ll start this metabolism myths article off with a rather personal admission. Many of you who are now familiar with my work may consider me something of an expert in the world of body composition and conditioning. Certainly an objective outsider would only have to look at the Ultimate Performance client list and the results they get to gain the impression that I am one of the very best in my industry. And while that may be the case (empirical data doesn’t lie after all) let me tell you that there are moments literally every week when I feel as though I know only the tip of the tip of the proverbial iceberg! It’s an old adage, but nevertheless a very true one, that the more you know the more questions you ask. I will never stop trying to deepen my knowledge of the intricate biochemistry that makes our bodies such unique and amazing organisms, but as science develops our understanding of things so too raises further questions. Unlocking the human genome was an enormous step forward, but like all such advances it also put us in the privileged position of being able to ask questions that we never knew existed until then. The real geniuses of my profession, men such as Mauro di Pasquale and Charles Poliquin, help us to put new advances into context and translate research into applicable protocols for real world results. And I know from personal experience that sometimes even these gentlemen have more questions than answers in their heads. This long preamble is my way of saying that any conditioning/fitness coach worth his or her pay cheque should always be aware of just how damn confusing things can be for the layperson. Myths abound, misinformation is profligate, and armchair and internet experts are two a penny (a good test of any of these so called gurus is to find out who and what sort of people they have trained – if they can’t tell you the names of people whose profession it is to present themselves/perform to the highest standard then steer well clear). 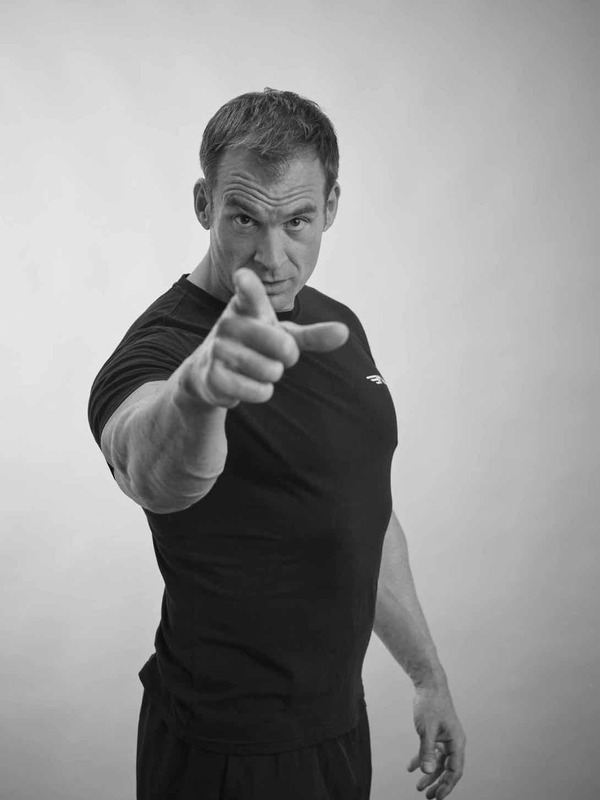 I see clients every day who have been fed such a lot of rubbish, especially about fat loss, that it sometimes seems as if I spend half my working day re-educating and repairing the damage of idiotic advice. So without further ado, let us bust a few myths and get you on the road to making the right sort of educated effort to get you lean! Any so called “expert” who tells you this metabolism myth should return to his time machine and get back to the Stone Age. Countless studies as well as anecdotal evidence shows that the right sort of resistance training is far and away the single most effective form of exercise for losing fat. A level of muscularity achieved by the author using weight training as his main form of exercise! Just to be thorough I will cite just one of thousands of studies from the Journal of Applied Physiology (August 1998, Brett A. Dolezal and Jeffrey A. Potteiger) that demonstrated that traditional cardiovascular/endurance training had no impact upon resting Metabolic rate (RMR) whereas strength training improved RMR by a very substantial 15%. A smart resistance training programme should be at the very top of anyone’s fat loss regime. 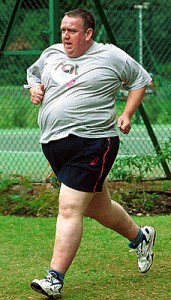 Traditional cardiovascular and aerobic training are the best form of exercise. This man thinks weights might make him "bulky'! The gentleman above jogs for health and fat loss. He believes this metabolism myth, but do you really think it is working? Finally, the damage done by the 1980s aerobics and jogging fads is starting to be undone, and the knowledge that an excess of aerobic/cardio training is actually bad for your body in so many ways is starting to trickle down to the general populace. First off, let’s all take heed that aerobic training increases oxidative stress which can accelerate aging. Have you compared the looks of a 30 year old long distance runner to that of a 30 year old sprinter? One always looks fresher and more youthful than the other, and no I do not mean after the race! According to the leading Endocrinologist Dr. Diana Schwarzbein oxidation is a process that forms free radicals in the body. Typically antioxidants will neutralize these nasty free radicals but if there is an excessive build-up in the body (something that happens repeatedly with regular steady state aerobic sessions) the anti oxidants are incapable of dealing with all of the free radicals. This will always lead to negative changes in the metabolism, a direct consequence of which is an acceleration of the aging process. If this wasn’t bad enough, it has been proven that traditional aerobic training done to excess can increase adrenal stress which will have an adverse impact upon body composition as well as a host of other undesirable health consequences. When one does too much continuous aerobic exercise, the adrenal glands are stressed in a way that can upset their delicate balance and which could lead to adrenal fatigue. If you don’t know this already, adrenal fatigue is a very debilitating condition. Its symptoms are associated with an impaired immune system, fatigue, mental problems ranging from anxiety and depression through to reduced mental acuity and memory problems, allergies, arthritis, feeling worn-out, and most important with respect to this article – the inability to lose fat despite extensive efforts. So long as I cover the same distance then it doesn’t matter if I walk, jog, or sprint. Excuse me whilst I climb back into my chair – this one has the tendency to make me laugh so hard that I fell onto the floor. OK, I may be prone to exaggeration from time to time, but one point that contains no hyperbole is just how ridiculous the above assertion is. The blunt fact of the matter, again backed up by so much research that all you need to do is go to Pub Med (www.ncbi.nlm.nih.gov/PubMed/) and type in “interval training” to be inundated with abstracts telling you just one thing, is that interval training causes a positive metabolic up shift that cannot in any way be compared to regular steady state cardio. So in other words, go hard, go fast, slow it down, then go hard and fast all over again. Not only does this burn off significantly more calories (via something called EPOC- Excess Post Exercise Oxygen Consumption – if you really want to know), but it also should take up less than half the time of your regular dull and boring treadmill yomps. Now go ahead and imagine what your newly lean body can do with that extra half hour gained three or four times every week. Power plates do make me lose weight personally, this I am forced to admit. The reason is quite simple and physiologically impossible to argue with. 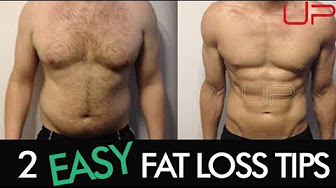 The hucksters and charlatans masquerading as fitness professionals who peddle these machines as the panacea to fat loss make my blood boil so much that I am sure my metabolism must soar through the stratosphere. The entire WBV (whole body vibration) industry is a minefield of dodgy deals and lies. All one needs to do is read up on the internal politics of the major protagonists – if each company is to be believed only their unique technology is correct and all other’s are not just inferior copies, but actually useless and potentially dangerous machines. WBV may, I stress the may, have a role to play in helping disabled or severely injured people rehabilitate, but as a replacement of exercise? Never. And as a fat burning tool? Not in a month of Sundays. I am personally incensed by these awful machines and their even more awful proponents, so if anyone wishes to deal with me on a Power Plate head to head in order to test conventional exercise methods against WBV I would be only too ecstatic to take up the “challenge”. Not a chance. The concept of instinctive eating is a ridiculous metabolism myth. If instinct really ruled we would all be couch potatoes and live on a feel good diet of chocolate and French fries. Your body is a functional organism and should be treated as such – if you wish to lose body fat you should feed it at prescribed times when it needs to be fed (every 3 hours is a good rule of thumb), not leave it to when you “feel” like you should eat. This idea of eating only when you feel hungry fails miserably in its understanding of human endocrinology. If you leave too long between eating your body starts to overly secrete the stress hormone cortisol, it is beyond the scope of this article to detail cortisol’s myriad of negative effects so I trust that you know enough to appreciate that this is a bad thing. In order to mitigate the effects of cortisol your body wants to produce insulin as the two cannot be produced at the same time. What causes a nice big spike in insulin levels? Overeating! Hence when you allow yourself to skip meals you get cravings for sugary or starchy foods you can otherwise do without. And hey presto you get insulin-cortisol seesaw syndrome and a fat belly (due to the cortisol – think about times when you are stressed and how sometimes fat accumulates around your belly button, that’s cortisol at work on your body composition) and love handles (insulin’s preferred dumping ground for its victims!). What can I say about this latest metabolism myth? As if squeezing a few drops of lemon juice onto your food is really going to make you drop 14lbs of blubber. Ridiculous concepts such as this usually sound too good to be true for a reason. Naturally there are countless other fallacies doing the rounds of the health & fitness world. My personal favourite metabolism myth of late (aside from the lemon juice diet) comes from the clowns pushing these body blades and vibra blades – what springs to mind here is that some people will do anything for a quick buck and “there is a sucker born every minute – and two to take ‘em”. The take home lesson here is that you should never be taken in by slick marketing or well intentioned but misguided advice. Both are damaging to your body. Instead, seek out someone with both experience and real credibility, and above all else educate yourself. Your body is your most precious, irreplaceable commodity, treat it as such. By Nick Mitchell, “London’s Best Personal Trainer” (Time Out London 2010).